So, even though I only have four years of veggie growing experience (and a lot of trial and error at that), I compiled a Beginner's Guide to Growing Food in DC. 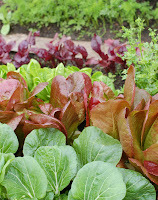 It's posted on the DC Urban Gardeners blog. Please head over there to read it and add your comments. 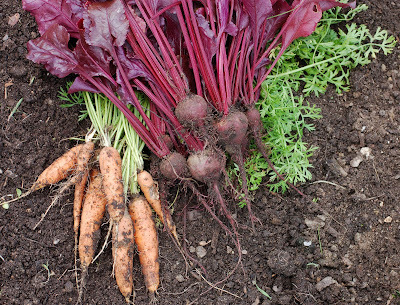 We want this to be a great resource for people who'd like to grow some of their own food here in the local area, and tips from food growers everywhere will be incorporated, too. Please, comment away! This is great, Christa! I am sure it will helpful for new gardeners. I'm on my way to check it out now, even though I'm trying to get a blog post written. Ah, the joys of procrastination - that's how I often discover interesting things to read. Oh, I wish someone would write a guide for my area... Hey, wait a minute, what about me? That is hilarious about the potatoes being dug up and being replanted! You made my day with that one. And as both Celia and I have posted in recent days, its the Int. Year of the Potato (check it out)!